I've had a crockpot bag that insulates and makes the crockpot portable, but it was huge and bulky and I had a hard time storing it when not in use. 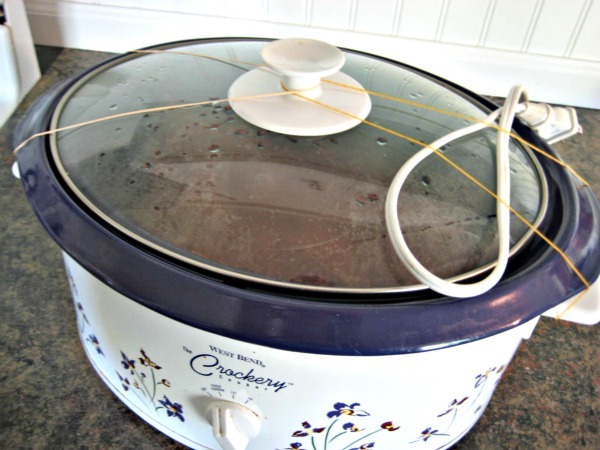 But, the easiest, most secure and best way I've found to transport my crockpot is with two rubberbands. Just loop them around the side handles, and loop around the lid knob on either side, tuck the cord in, and away you go. Never had a spill since.